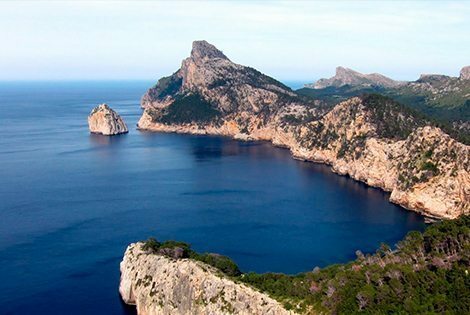 On the northeast part of the island there are the Formentor cape and the Lyyuk Monastery. Your journey will start from the well-known monastery Lyyuk. In the monastery is kept Maria Lyukskaya holy pattern. The pattern is a kind of defender of Majorca and is esteemed in Balearic Islands. Through the mountains you will follow to the Polyensa port located in the northeast of Majorca. From there you will reach the Nort part of the Island the cape Formentor. Here it is situated one of the best-known hotels Formentor where had a rest Churchill, Gorbachev and other celebrities. You will have a chance to enjoy with unforgettable view of the mountains and the sea from viewing point. The excursion brings you to the miradore of the XVI century and then to the beach where you can have a swim. Further you will go to one of the best wine storage on the whole island. Here you can taste Majorca wines and gourmet foods, get acquainted with the owner Ramón Batle.